Dennis Herrera's subpoenas come in the wake of an April 30 California Supreme Court decision that tightened the definition of independent contractors within the state. Lyft and Uber placards as seen on the windshield of a car. San Francisco City Attorney Dennis Herrera issued administrative subpoenas to Uber and Lyft Tuesday, commanding them to show whether they classify their drivers as employees or independent contractors. The subpoenas also ask for information on wages, paid sick leave and health care expenditures for any drivers viewed as employees. The two ride-booking companies are both based in San Francisco and now operate nationally and, in the case of Uber, worldwide. They have maintained since their founding that their drivers are independent contractors, which would free the companies from obeying laws on minimum wage, sick leave and health care benefits. They say the independent contractor status gives the drivers the benefits of independence and flexibility. Herrera's subpoenas come in the wake of an April 30 California Supreme Court decision that tightened the definition of independent contractors within the state. The court, ruling in the case of drivers for a Southern California package delivery company, said workers must meet all of three criteria in order to be classified as independent contractors. The three requirements are that workers must be "free from the control and direction" of the hiring company; perform work that is "outside the usual course of the hiring entity's business"; and be customarily engaged in an independently established trade, occupation or business. While asking for wage information on any drivers listed as employees, the subpoenas also demand documentation from Uber and Lyft on how drivers they classify as independent contractors meet those three standards. "We are not going to turn a blind eye if companies in San Francisco deny workers their pay and benefits," Herrera said in a statement. "We don't know whether these ride-hailing companies are breaking the law until they provide the information we seek in these subpoenas," he said. The subpoenas were issued under Herrera's authority to investigate compliance with San Francisco laws requiring minimum wage, paid sick leave and employer contributions to health care insurance. The city's minimum wage is now $14 per hour and will rise to $15 on July 1. The subpoenas apply to data about Uber and Lyft drivers who began or ended at least one ride in San Francisco between 2015 and the present. Uber spokesman David White said, "We are unable to provide a comment." Lyft spokesman Adrian Durbin said, "Lyft has a long track record of working collaboratively with policymakers, including the San Francisco city attorney, on important issues. "We look forward to helping the City Attorney's Office fully understand Lyft's business model, including our relationship with drivers," Durbin said. 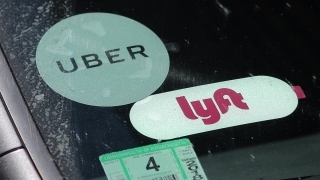 Durbin said that in the San Francisco region, the median Lyft driver earnings are more than $25 per hour before expenses, which typically range from $3 to $5 per hour. The state high court's April 30 decision was unanimous and was written by Chief Justice Tani Cantil-Sakauye. She wrote, "Although in some circumstances classification as an independent contractor may be advantageous to workers as well as to businesses, the risk that workers who should be treated as employees may be improperly misclassified as independent contractors is significant in light of the potentially substantial economic incentives that a business may have in mischaracterizing some workers as independent contractors."